Lita Cabellut (1961), born in Spain and currently living and working in The Hague, spent her early childhood years begging on the streets of Barcelona. 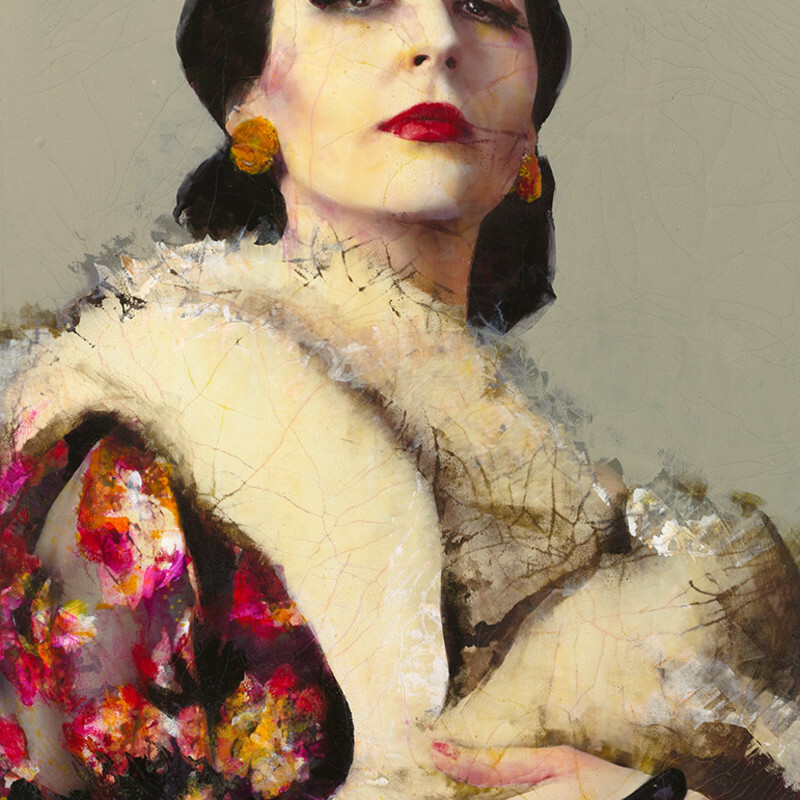 At the age of twelve, she was adopted by a Catalan family that introduced her to the world of art. Cabellut proved to be a gifted artist, and at a mere 17 years of age she had her first exhibition. Two years later, she moved to The Netherlands, where she studied at the Gerrit Rietveld Academy. The artist works with large-scale canvases and combines a classic fresco technique with modern applications of oil paint. The crackle and defining palette gives a skin and life to her portraits of street dwellers, prostitutes, religious people, historical figures, fictional characters and influential people. Her work has been bought by several museums, the European Museum of Modern Art (MEAM) in Barcelona being one of them. the artist also has had many solo museum exhibitions all over the world.